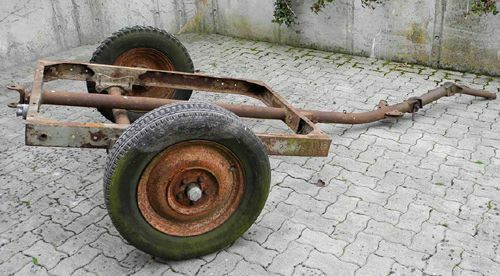 Anhangerfahrgestell A 1 - the type A1 single-axle light trailer chassis - had been designed for Luftwaffe before the war, and was produced by its end. 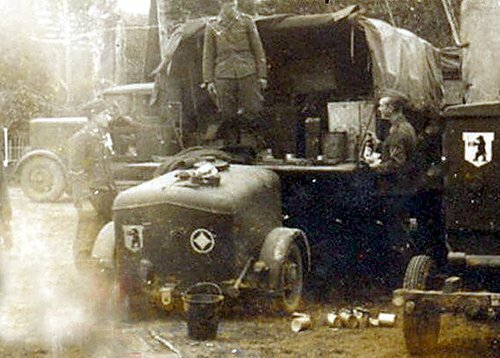 It had a weigh of 140 kg, and payload of 610 kg (750 kg - for type A1B), and was to be towed by light motor vehicles, or even by men power. 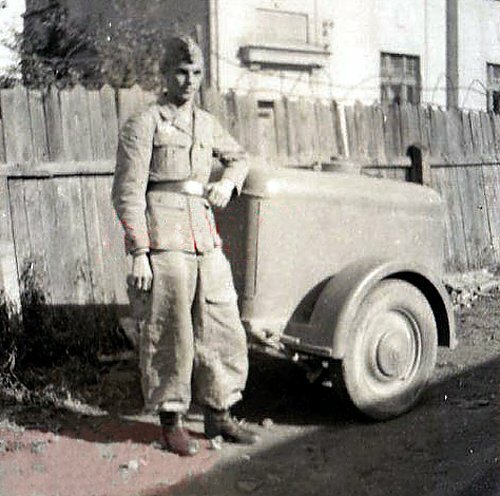 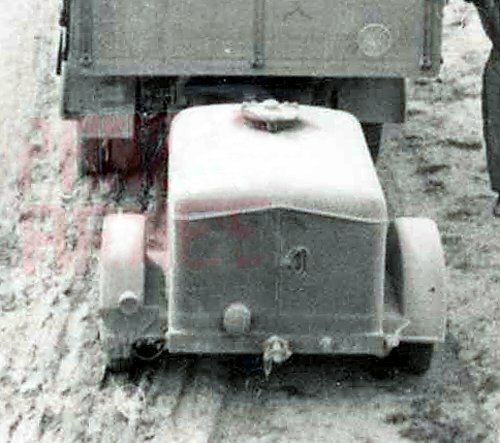 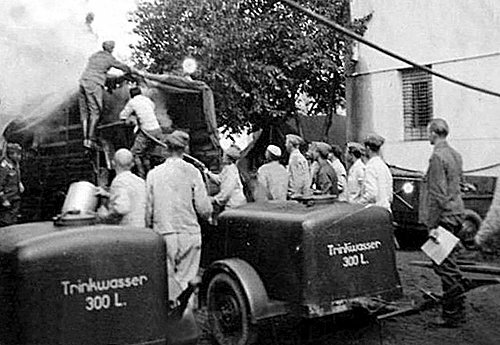 This kit presents the Wassertankanhanger auf Anhangerfahrgestell A 1 – the 300 liters tank trailer on A1 chassis, used to supply drinking water in the Luftwaffe auxiliary troops.